We were supposed to stop for lunch at a nearby Panda Express, but the group unanimously vetoed a sit-down meal, fearing it would cut into shopping time. The outdoor mall was packed with Chinese tourists; buses from Sino Coach, Lion Express, and Eagle Tours were parked outside. As our motor coach lurched to a stop, everyone sprang up. I struggled to keep up with an older couple, Zhong Dao and Di Ping, as they bolted toward Polo Ralph Lauren . As soon as we arrived, Zhong Dao, a retired teacher with a haircut like Liza Minnelli’s, began riffling through a rack of polo shirts. She plucked a lavender one and pulled out a scrap of paper with her daughter-in-law’s measurements. “We had great expectations for this,” she told a staffer from our tour company, who translated her remarks for me. She asked him if it was possible to bargain down the price. He shook his head ruefully. The couple, both 66, bought 12 polo shirts — a relatively modest haul. Outside, dozens of tourists rested on benches surrounded by mountains of shopping bags. Zhong Dao told me that this was her and her husband’s first visit to the U.S. Before, they had only witnessed America in the movies. “We wanted to come see it with our own eyes,” she said. Until a few years ago Chinese tour groups were forbidden from traveling to the U.S. Then, in 2007, the two countries signed a memorandum that reversed this restriction — and unleashed a tidal wave of tourism. More than 1 million Chinese visitors came to the U.S. in 2011, up from 493,000 in 2008. The Commerce Department expects arrivals to rise 259% between 2011 and 2017. As more Chinese people join the middle class, they are embracing the concept of leisure travel. Tour groups from China are now ubiquitous in major cities, supplanting Japanese travelers as the world’s most sought-after big spenders. Advanced economies are reaping the benefits. Chinese tourists in America spend about $6,000 per trip, more than visitors from any other country. Because their expenditures are technically exports, the U.S. ran a whopping $4.4 billion surplus in travel and tourism with China in 2011, up from a $687 million deficit in 2006. The surge in tourist spending offers an elegant solution to one of the economy’s structural problems — a way for the U.S. to tap into the growth in emerging markets while exploiting its own strengths, including its popular culture, its safety, and its large service workforce. More than 5.4 million Americans work in travel and tourism, and their jobs cannot be easily outsourced. Tourism is one of the few areas in which mature economies are still outperforming emerging ones, mainly because people from Third World countries want to visit First World ones. And yet America’s share of global tourism spending has declined since 2000, from 17.5% to 11.2%, according to the World Tourism Organization. The U.S. may be luring more visitors from China, but it takes in just a sliver of that country’s tourist expenditures, which hit $73 billion in 2011. More Chinese tourists preferred France, the world’s leading destination, that year. Many foreigners view the U.S. as unwelcoming, citing its stringent security measures. “Don’t invite people here and then make them wait two hours to get in,” says Bill Talbert, the head of the Greater Miami Convention and Visitors Bureau. A few hours before we arrived at the outlet mall in Barstow, Calif., I met my tour group in Las Vegas. They had been on the road for 17 days. Their trip — AmericanTours International’s (ATI’s) Broadway to Hollywood package, which costs about $5,000 — had begun in New York City. They had seen Washington, D.C., and Chicago and had driven across the Great Plains (Iowa, which Chinese Communist Party chief Xi Jinping visited as a young man, is especially popular with Chinese tourists). Their journey would end in Los Angeles. Chinese travelers buy U.S. tour packages from Chinese travel agencies, which purchase them wholesale from American companies called “receptives.” In addition to designing tours, receptives coordinate them; their staffers intercept groups as soon as they hit the ground. 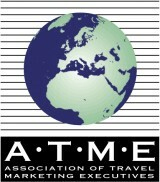 ATI, one of the biggest receptives, brings several hundred thousand people to the U.S. each year. Receptives package tours with specific clienteles in mind. Japanese tourists, many of whom are big Anne of Green Gables fans, flock to Prince Edward Island; Chinese travelers prefer Gone With the Wind (ATI offers a tour of the South based on the novel). Most itineraries include shopping days. It’s “a must for the Chinese,” says Daniel Shen, owner of Lion Tours in Los Angeles. “They want to give things to their families, their kids, their grandsons — they want to impress them.” Because Western brands are heavily taxed in China, they are often cheaper in the U.S.
As we rolled up a hill, our tour guide, Roger Ho, passed out pieces of candy. “Equalizes the pressure,” he explained, pointing at his head. Junchao nodded and popped one into his mouth. I asked him what he found surprising about the U.S. “Buffets,” he replied. “You have a lot of products.” Though the group had mainly eaten at Chinese restaurants, they had tried a few Western meals: steak, beef soup, and hamburgers. Both Junchao and his wife vowed to lose weight as soon as they returned home. As our bus coasted through Los Angeles, Roger stood next to the driver and pointed out the sights. An engineer with a physics Ph.D., Roger has worked in tourism since the 1980s. Short, with a wide stance and an omnipresent fanny pack, he barked into a microphone while we inched along in traffic. Roger spoke Chinese, but every now and then he dropped an English phrase. When we passed the University of Southern California, he cried out, “University for Spoiled Children!” Outside the Staples Center he made a stapling motion with his hand. Chinese tourists, he later told me, enjoy learning about American universities and companies. “I have to make sure it is of interest to them,” Roger said. He recalled that, in Salt Lake City, the group was fascinated to see people carrying plastic bags to pick up after their dogs. Our driver pulled over near Hollywood Boulevard. Roger led us to the sidewalk of stars, waving a floral scarf like a matador so we wouldn’t lose him. He pointed out names that are well known in China: Jackie Chan, Arnold Schwarzenegger, Marilyn Monroe. We stopped next to Zsa Zsa Gabor and practiced saying her name; when said quickly, it sounds a little like Chinese. Los Angeles is the second most popular destination for Chinese tourists. The first is New York City, which drew nearly 40% of the country’s Chinese visitors last year. George Fertitta, who heads NYC & Co., the city’s marketing operation, launched a Shanghai outpost in 2007. “Our job is to fully understand where the best fishing is, and then fish,” explains Fertitta. Between 2009 and 2011, Chinese visitors to New York nearly tripled. 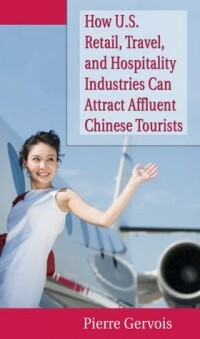 Cities and states compete fiercely for Chinese tourists. California recently launched a training program for tourism companies called “China Ready”; Miami works with a hospitality school in Tianjin. At international trade shows, local tourism bureaus set up lavish booths and pitch themselves to receptives (Las Vegas has been known to bring an Elvis impersonator). Tourism companies say these rivalries put the U.S. as a whole at a disadvantage. “Here, everyone does their own thing: The airlines do their own thing; Disney (DIS) does its own thing; the states do their own thing,” says ATI’s Hentschel. “They compete with each other instead of uniting as one country.” Most industrialized countries have national tourism offices. India bills itself as “Incredible India”; New Zealand is “100% pure.” Australia insists “There’s nothing like Australia” (the motto replaced the controversial “So where the bloody hell are you?”). The Obama administration has started to build a coherent tourism strategy. In 2010 the President signed a bill creating a public-private partnership, Brand USA, tasked with devising a national marketing campaign (its first commercial aired overseas last year). This past January, Obama issued an executive order requiring that 80% of temporary visa applicants had to be interviewed in three weeks or less. It worked: Consulates boosted staffing in China, and the waiting times for interviews there, which once averaged nearly two months, are now five days, according to the White House. Still, the U.S. has only five consulates in China that offer visa services (France has six). Many Chinese travelers have to trek hundreds of miles to interview for a visa. Customs is another roadblock. According to a survey conducted a few years ago on behalf of the U.S. Travel Association, the industry’s trade group, 54% of international travelers said they were treated rudely by U.S. Customs and Border Protection agents (the government disputed the survey, calling it “bogus”). Waiting times at airports have declined a bit this year, but heavily trafficked terminals still struggle to manage the crush of international tourists. On my group’s final day in the U.S., we met at 7:30 a.m. to drive to Universal Studios Hollywood. It was 100 degrees outside, but even our oldest member, a man in his early eighties, walked briskly through the theme park. The first stop was a 3-D ride based on the latest Transformers movie. As we buckled in, everyone hoisted iPads to film the ride. Though the guide on the Universal tram tour spoke only English, my group enjoyed seeing the icons: the shark from Jaws, King Kong. When we drove through Wisteria Lane, everyone hooted. 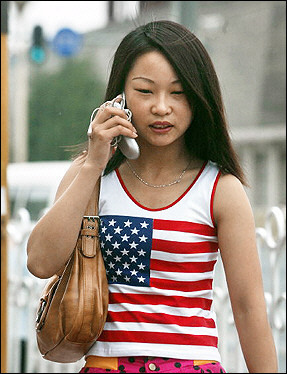 (Desperate Housewives is popular in China.) As we watched scenes from old movies, the guide joked that half the people on the tram tour were too young to remember the films. “The other half of you don’t speak English,” he said snarkily. I cringed. It wasn’t the first time our group had been poorly received. At sightseeing spots and restaurants I overheard workers complaining about our size and habits; several ignored my travel companions’ requests. Waiters were befuddled when we asked for hot, not cold, water. Lui, the BCG expert, says U.S. companies are unprepared for the Chinese tourism boom. He recalls dining at a Cuban restaurant in Miami that was popular with Chinese tour groups but didn’t have menus in Chinese. “I don’t think many foreign brands — hotels, airlines, travel agencies — really tailor their products for Chinese people,” he says. Retailers have been quicker to jump on the trend. Stores at outlet malls accept UnionPay bank cards, which are commonly used in China. Simon Property Group , one of the country’s biggest mall operators, celebrates Chinese New Year (a Las Vegas outlet center even featured a dragon dance). Coach , the handbag purveyor, has hired more than 100 Mandarin-speaking salespeople since 2010. The company, whose flagship Manhattan store now derives 20% of its sales from Chinese tourists, curates goods with travelers in mind. Victor Luis, the president of Coach’s international group, says certain outlets carry wallets sized for Chinese currency. 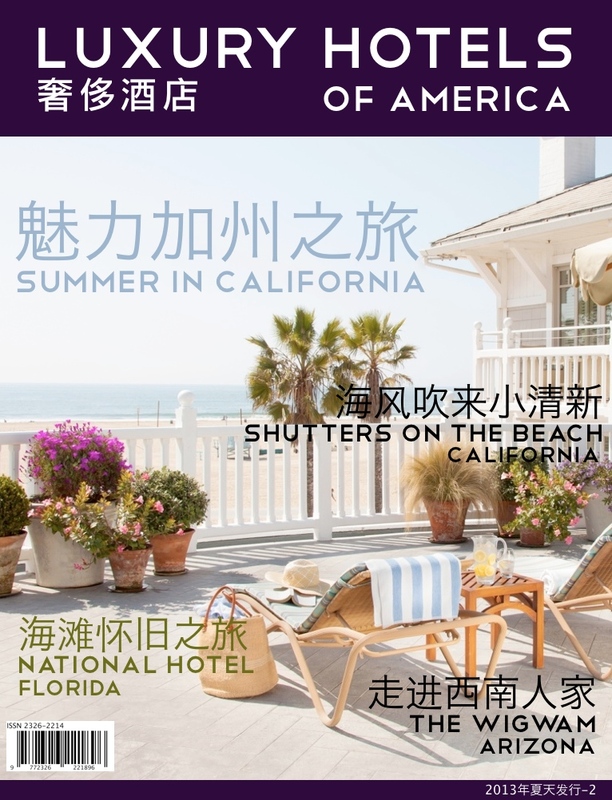 The most affluent part of Chinese tourists also rely on their own magazines to guide them: Luxury Hotels of America is the first luxury travel magazine in Chinese about high end hotels in the U.S.. 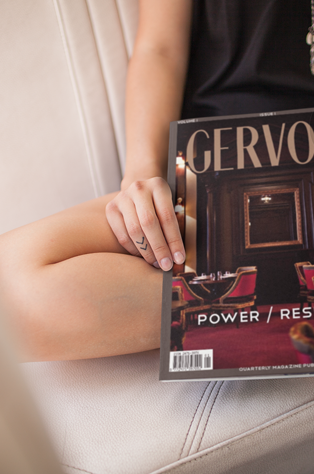 Available on the iPad, it’s the subtle sign of recognition of the most affluent of Chinese travelers in the U.S. in airport VIP lounges or hotel lobbies. American hotels are also getting better at enticing Chinese travelers. In L.A. my group stayed at the Hilton LAX, one of the country’s biggest airport hotels. In 2011, Hilton launched a program called Huanying — “welcome” in Chinese. Huanying-designated hotels offer amenities like teapots, slippers, and congee for breakfast . Our group appreciated these gestures; when Roger told us we could keep the slippers, everybody cheered. But we skipped breakfast, which cost $22. I didn’t see any Chinese guests in the dining area. On the group’s last night in the U.S., we dined at Bubba Gump Shrimp Co. in Santa Monica, which sits on a pier overlooking the beach. It was a set menu: dreary-looking house salads and fried fish and chips. Dessert was a small piece of chocolate cake. Zhong Dao took one bite and pushed it aside, her face contorting with displeasure. “Too sweet,” she told me.